It’s not uncommon at all for Floridians to have random citrus trees growing haphazardly on their properties. We have a lime tree in our backyard. My mom has an orange tree and had a grapefruit tree at one time too. 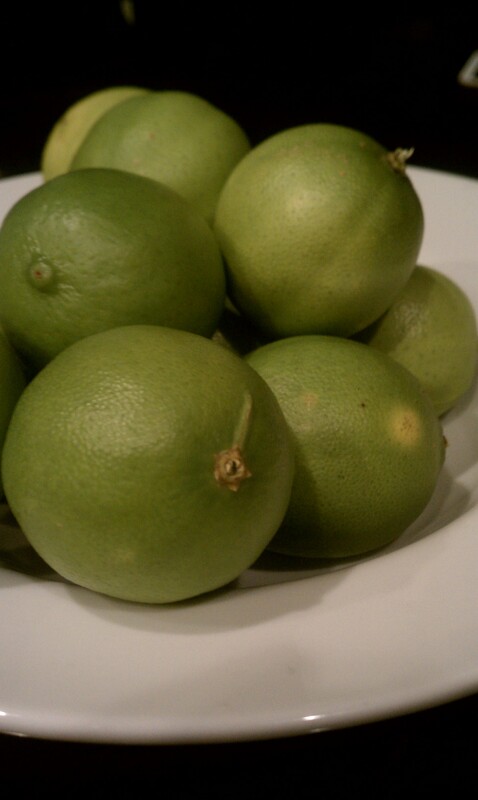 The other day we picked about 10 limes from the tree and my boyfriend requested that I make him a real keylime pie. 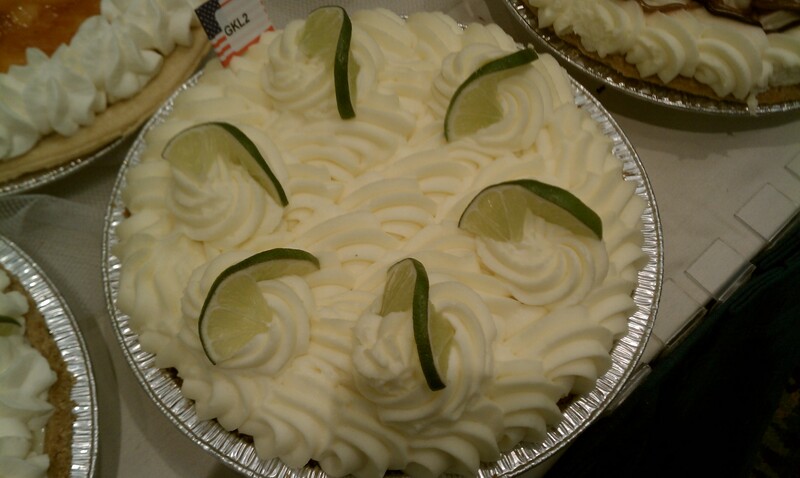 Technically, these limes aren’t of the keylime variety, but I still used them for my pie. How else do you make good use of so many limes all at one time? I combined two gourmet recipes together for the pie. For the crust I used Emeril’s graham cracker crust recipe. The filling and topping were an easy recipe from Martha Stewart’s site. In a bowl, mix the graham cracker crumbs, sugar, and coconut oil with your hands. Note: try it in a food processor instead of by hand. It creates a more even consistency throughout the crumbs that makes it easier when serving slices of pie. Press the mixture firmly into a 9-inch pie pan, and bake until brown, about 20 minutes. Remove from the oven and allow to cool to room temperature before filling. In a medium bowl, whisk together condensed milk, coconut milk, lime juice, and egg yolks until smooth. Pour into crust and bake until set but still slightly wobbly in center, 40 minutes. Let cool on a wire rack, 1 1/2 to 2 hours, then refrigerate 3 hours (or up to 1 day). In a large bowl, using an electric mixer, beat cream and sugar on high until stiff peaks form, about 3 minutes. 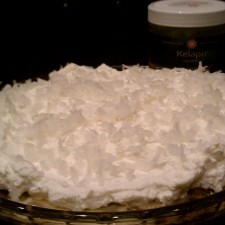 To serve, top pie with whipped cream and sprinkle with toasted coconut. 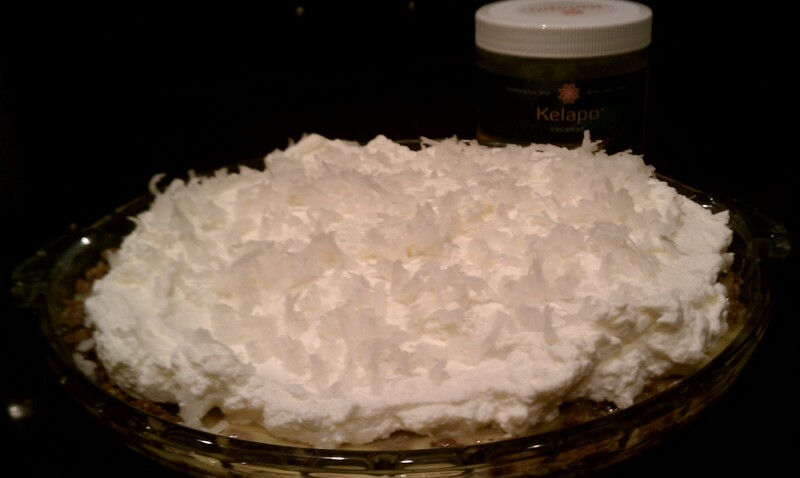 I also mixed a bit of coconut into the topping. My feedback is that the topping was good, but a little bland. 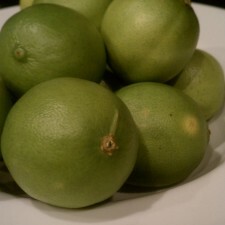 Other comments about the pie, use more lime. Martha’s recipe called for a 1/3 cup, which was about 4 of the limes that I had picked. But Emeril’s recipe called for 1 cup. On other note worthy pie news, this past April, I was an official Pie Judge at the American Pie Fest in Orlando, FL. I tasted cream pies and pumpkin pies. 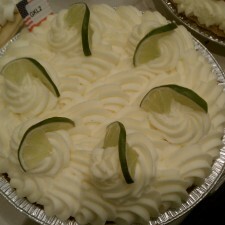 My favorite cream pie was a Keylime pie from Tippin’s. It won my vote because the top bit was smooth and creamy, not light and fluffy like a meringue. Here is a picture from the pie festival. I believe you can order your pre-made Tippin Gourmet Pies from this website. YUM! This sounds like a delicious idea! Thanks for sharing with us!